A paradigm shift or by design? There are a lot of views Americans have about Vladimir Putin and Russia, left over from cold war propaganda many of us grew up with. This isn't about that, nor what we already know about Obama. When this article was first written, Obama was fresh, and Russia was just beginning to gain traction in the global community. 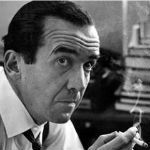 At the time, an analysis in comparison to newly elected Obama and Russian perspective was at the heart of the article. Now, both have history for comparison. Unless you read carefully ...you will miss things you need to understand. 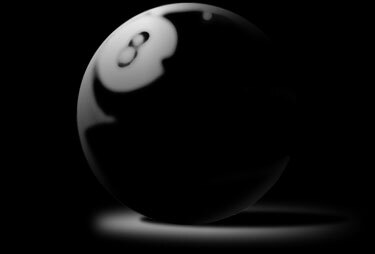 Every day as the United States under the leadership of Barack Obama sinks further in the eyes of a watching International Community and further and further behind the Eight Ball in Russian relations ...Russia and Vladimir Putin rises more and more toward the top of respected leaders. There is a reason for this (much of which is earned) ...not by accident nor should be feared. 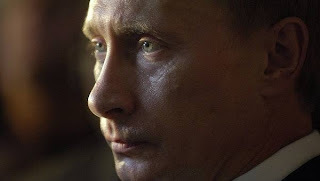 President Putin is a chess master in world affairs and in protecting Russia with core values that begins before following in Mikhail Gorbachev's footsteps as we learn the Nazi New World Order underestimated Russia as the Communists underestimated Christianity. Nearly all of Humanity is affected by some form of 'change' notwithstanding world leaders collectively working together to control out-breaking global chaos. As the world witnesses what some experts describe as a global paradigm shift, from the current economic crisis in the European Union, to the Arab Awakening, one should consider factors behind the scenes that may have an influence on geo-politics and policy ...including the United States. The Endrun Project began looking into Russian and Chinese geo-political and geo-economic posturing after a meeting with Mr. Gorbachev in Las Vegas wherein he discussed perestroika at the University of Nevada Las Vegas UNLV. 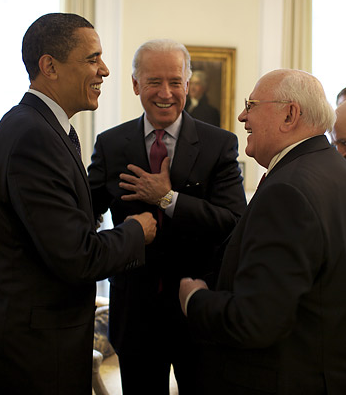 "Unless democracy addresses the social and economic problems of the people, it fails," Gorbachev said. "It is becoming increasingly clear that a stable and just world order is not possible unless we find a co-existence of different cultures." Perestroika (Russian: перестройка [pʲɪrʲɪˈstrojkə] (literally: Restructuring) was a political movement within the Communist Party of the Soviet Union during 1980s, widely associated with the Soviet leader Mikhail Gorbachev. Its literal meaning is "restructuring", referring to the restructuring of the Soviet political and economic system. 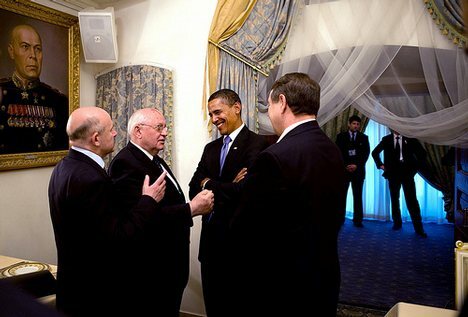 In 2004, before anyone ever heard of or imagined a President Barack Obama ...as Mikhail Gorbachev spoke in Russian with the help of an interpreter, the message continued ...sending signals of global change reflecting on an agenda to affect the United States and Humanity that has been in the works for generations. 'Years ago, as the Cold War was coming to an end, I said to my fellow leaders around the globe: The world is on the cusp of great events, and in the face of new challenges all of us will have to change, you as well as we. For the most part, the reaction was polite but skeptical silence. Over time, my remark has prompted all kinds of comments. Some have reacted with understanding. Others have objected, sometimes sarcastically, suggesting that I want the United States to experience upheaval, just like the former Soviet Union. In my country, particularly caustic reactions have come from the opponents of perestroika, people with short memories and a deficit of conscience. And although most of my critics surely understand that I am not equating the United States with the Soviet Union in its final years, I would like to explain my position. Two conspiracies hijacked the changes -- the attempted coup in August 1991, organized by the hard-line opponents of our reforms, which ended up weakening my position as president, and the subsequent agreement among the leaders of Russia, Ukraine and Belarus to dissolve the Union. Russia's leaders then rejected the evolutionary path, plunging the country into chaos. In the West, the breakup of the Soviet Union was viewed as a total victory that proved that the West did not need to change. Western leaders were convinced that they were at the helm of the right system and of a well-functioning, almost perfect economic model. Scholars opined that history had ended. The "Washington Consensus," the dogma of free markets, deregulation and balanced budgets at any cost, was force-fed to the rest of the world. The current global crisis demonstrates that the leaders of major powers, particularly the United States, had missed the signals that called for a perestroika. 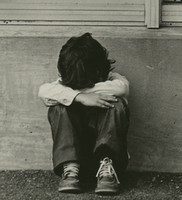 The result is a crisis that is not just financial and economic. It is political, too. The model that emerged during the final decades of the 20th century has turned out to be unsustainable. It was based on a drive for super-profits and hyper-consumption for a few, on unrestrained exploitation of resources and on social and environmental irresponsibility. 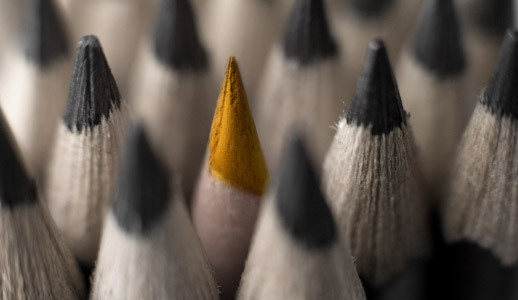 But if all the proposed solutions and action now come down to a mere rebranding of the old system, we are bound to see another, perhaps even greater upheaval down the road. The current model does not need adjusting; it needs replacing. I have no ready-made prescriptions. But I am convinced that a new model will emerge, one that will emphasize public needs and public goods, such as a cleaner environment, well-functioning infrastructure and public transportation, sound education and health systems and affordable housing. Elements of such a model already exist in some countries. Having rejected the tutorials of the International Monetary Fund, countries such as Malaysia and Brazil have achieved impressive rates of economic growth. China and India have pulled hundreds of millions of people out of poverty. By mobilizing state resources, France has built a system of high-speed railways, while Canada provides free health care. Among the new democracies, Slovenia and Slovakia have been able to mitigate the social consequences of market reforms. The time has come for "creative construction," for striking the right balance between the government and the market, for integrating social and environmental factors and demilitarizing the economy. Washington will have to play a special role in this new perestroika, not just because the United States wields great economic, political and military power in today's global world, but because America was the main architect, and America's elite the main beneficiary, of the current world economic model. That model is now cracking and will, sooner or later, be replaced. That will be a complex and painful process for everyone, including the United States. Perestroika means overcoming the stagnation process, breaking down the braking mechanism, creating a dependable and effective mechanism for acceleration of social and economic progress and giving it greater dynamism. Perestroika means mass initiative. 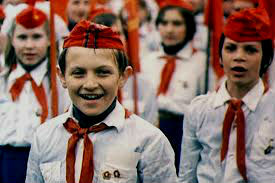 It is the conference of development of democracy, socialist self-government, encouragement of initiative and creative endeavor, improved water and disciplined, more glasnost, criticism and self-criticism in all spheres of our society.It is utmost respect for the individual and consideration for personal dignity. Perestroika is the all-round intensification of the Soviet economy, the revival and development of the principles of democratic centralism in running the national economy, the universal introduction of economic methods, the renunciation of management by injunction and by administrative methods, and the overall encouragement of innovation and socialist enterprise. Perestroika means priority development of the social sphere aimed at ever better satisfaction of the Soviet people’s requirements for good living and working conditions, for good rest and recreation, education and health care. It means unceasing concern for cultural and spiritual wealth, for the culture of every individual and society as a whole. Perestroika means the elimination from society of the distortions of socialist ethics, the consistent implementation of the principles of social justice. It means the unity of words and deeds, rights and duties. It is the elevation of honest, highly-qualified labor, the overcoming of leveling tendencies in pay and consumerism. . . . I stress once again: perestroika is not some kind of illumination or revelation. To restructure our life means to understand the objective necessity for renovation and acceleration. And that necessity emerged in the heart of our society. The essence of perestroika lies in the fact that it unites socialism with democracy and revives the Leninist concept of socialist construction both in theory and in practice. Such is the essence of perestroika, which accounts for its genuine revolutionary spirit and its all-embracing scope. The goal is worth the effort. And we are sure that are effort will be a worthy contribution to humanity’s social progress. 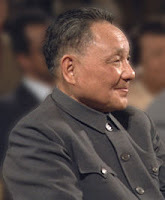 Perestroika and Deng Xiaoping's economic reforms have similar origins but very different effects on their respective countries' economies. Both efforts occurred in large communist countries attempting to modernize their economies, but while China's GDP has grown consistently since the late 1980s (albeit from a much lower level), national GDP in the USSR and in many of its successor states fell precipitously throughout the 1990s. 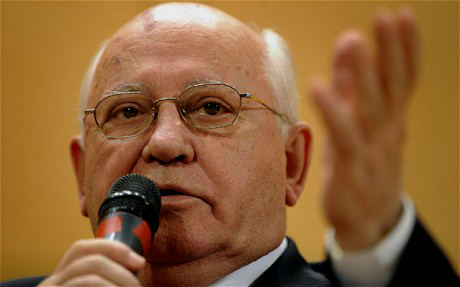 Gorbachev's reforms were largely a top-down attempt at reform, and maintained many of the macroeconomic aspects of the command economy (including price controls, inconvertibility of the ruble, exclusion of private property ownership, and the government monopoly over most means of production). Reform was largely focused on industry and on cooperatives, and a limited role was given to the development of foreign investment and international trade. Factory managers were expected to meet state demands for goods, but to find their own funding. Perestroika reforms went far enough to create new bottlenecks in the Soviet economy, but arguably did not go far enough to effectively streamline it. Chinese economic reform was, by contrast, a bottom-up attempt at reform, focusing on light industry and agriculture (namely allowing peasants to sell produce grown on private holdings at market prices). Economic reforms were fostered through the development of "Special Economic Zones", designed for export and to attract foreign investment, municipally-managed Township and Village Enterprises and a "dual pricing" system leading to the steady phasing out of state-dictated prices. Greater latitude was given to managers of state-owned factories, while capital was made available to them through a reformed banking system and through fiscal policies (in contrast to the fiscal anarchy and fall in revenue experienced by the Soviet government during perestroika). Another fundamental difference is that where perestroika was accompanied by greater political freedoms under Gorbachev's glasnost policies, Chinese economic reform has been accompanied by continued authoritarian rule and a suppression of political dissidents, most notably at Tiananmen Square. The concept of Perestroika and even ‘Change’ as we hear it through the last Presidential campaign and election, contains some truth, wisdom and common sense we can all learn from… just enough that on face value, we want to accept it all as truth. The warning is that in order to understand what ‘change’ is, discernment is necessary; because behind the ‘truth’ and wisdom is deception to further an agenda. Communists/Marxists and the spirit of Perestroika has a purpose in drawing America into their control. They refer to Americans as ’sheeple’* who are led and manipulated like sheep to follow as unfortunately, we have proven as exemplified in our lifestyles orchestrated by the media. ‘All of us share this world for but a brief moment in time. The question is whether we spend that time focused on what pushes us apart, or whether we commit ourselves to an effort — a sustained effort — to find common ground, to focus on the future we seek for our children, and to respect the dignity of all human beings. 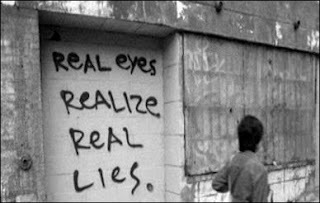 What people think is largely what they are programmed to think and seldom how things really are until they are blindsided with a undesirable reality. On the other hand the orchestrators often deceive themselves ...having less to do with reality than they realize. Recent events perfectly fit into the US-invented concept of 'manageable chaos' (also known as 'controlled instability' theory). Among its authors are: Zbigniew Brzezinski, a Polish American political scientist, Gene Sharp, who wrote From Dictatorship to Democracy, and Steven Mann, whose Chaos Theory and Strategic Thought was published in Washington in 1992, and who was involved in plotting 'color revolutions' in some former Soviet republics. *Founded in 1954 by the Russian Ministry of Foreign Affairs, International Affairs is a leading foreign politics monthly with wide audiences in Russia and other countries. The International Affairs council is chaired by Russian Foreign Minister S. Lavrov. 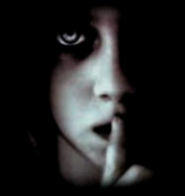 If you know where and how to look beyond political snippets and sound bytes on FOX and CNN The Obama Administration has in fact revealed many mysteries behind actions appearing as failure.Drill down and search for yourself as a pattern of the ‘agenda’ unfolds ...understanding that Perestroika (перестройка) is only a small part of a much grander design. Other than the smell which separates them, like 'sheeple' ...dead fish are best known for going with the flow. 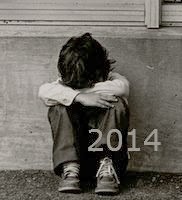 The 'Endrun' images represent the disparity being felt by so many people ... especially the children who are witnessing events in America and the international community in which they have no voice or control of decisions that are destroying prospects and hope for a secure and prosperous future.